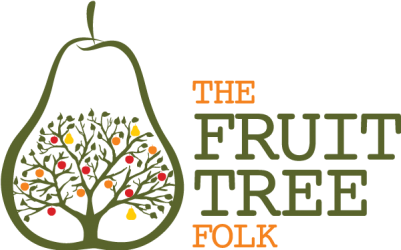 The Fruit Tree Folk provide specialist advice, complete management and care for fruit trees in private and community gardens. Such efficient and friendly service! And pricing is more than reasonable. I'd recommend these Folk to anyone. We had Christy out to tend to our lemon tree that wasn't producing any fruit. With some of his expert tender loving care we are now getting multiple harvests a year. Thanks Fruit Tree Folk. We moved in to a new home that has an olive tree in the backyard. Not knowing anything about olive trees, the Fruit Tree Folk came to our rescue. They gave the tree a full renovation prune and showed us how best to harvest the fruit when Autumn arrives. We would highly recommend Christy to anyone who has inherited a fruit tree and doesn't know how to care for it. It is indeed an honour to have been your first fruit tree client. Already the (walnut) tree seems ... happier? It is hard to explain as it's got no leaves ... but somehow it just seems like it is grateful that someone cares for it. You worked magic and did it with such care, it totally makes sense to me that something's happening that can't be explained! Fruit tree care and repair ... with Loving kindness. Call us on 0425 7227 63 or email today for a free quote.